I had better get my skates on if I am actually going to get through the 500 or so patterns in this book…If I continue at four a week it could take upwards of 2 years! Oh, well, I will keep going till I am not enjoying the process any more. 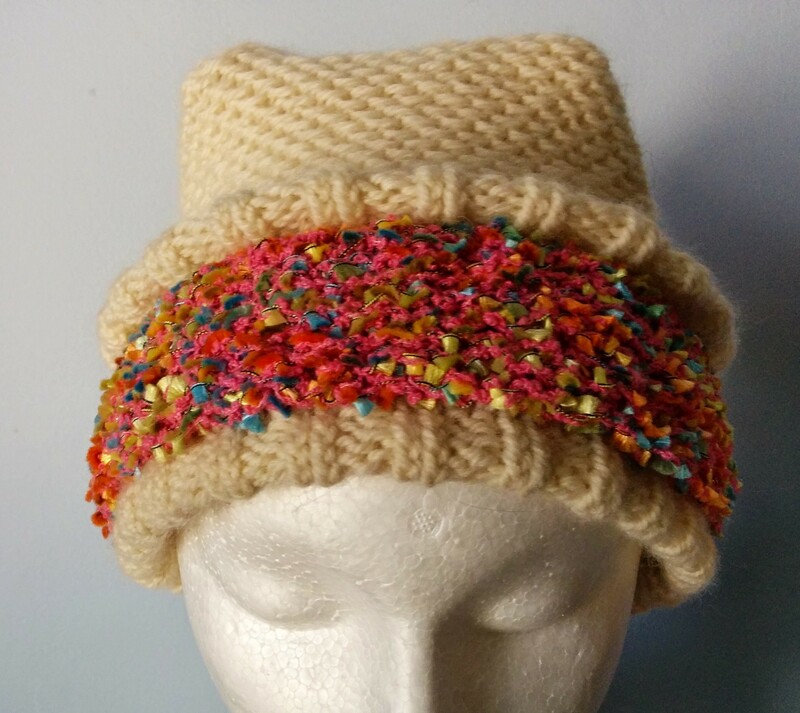 This is the hat I did this week using Slip-Stitch Honeycomb from Chapter Five, Slip-Stitch patterns and Twisted Knit-two Purl-two Ribbing from Chapter Three, Ribbings. I decreased aggressively in four places to get the pointy bits that look like an upturned Shaker Fruit Basket…see image above. 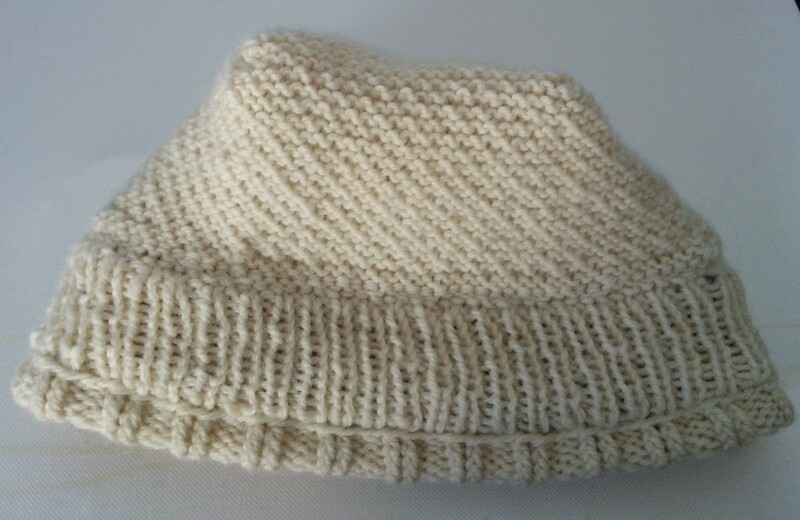 This hat and mitt set are in a style I had been working on quite a bit earlier this year. I use random balls of novelty yarn from the discount bins and combine them with plain worsted weight yarn. I usually enclose the back of the novelty yarn with regular worsted yarn, because a lot of them are on the scratchy side, which is probably why they end up in the discount bins in the first place. For the Easter theme, I used a novelty yarn that had Easter Colours in it. Last spring, I made a pile of hat and mitt sets, so I got pretty good at making mitts to match any hat I made. I decided in the interests of diversity, to include mittens to go with this hat. 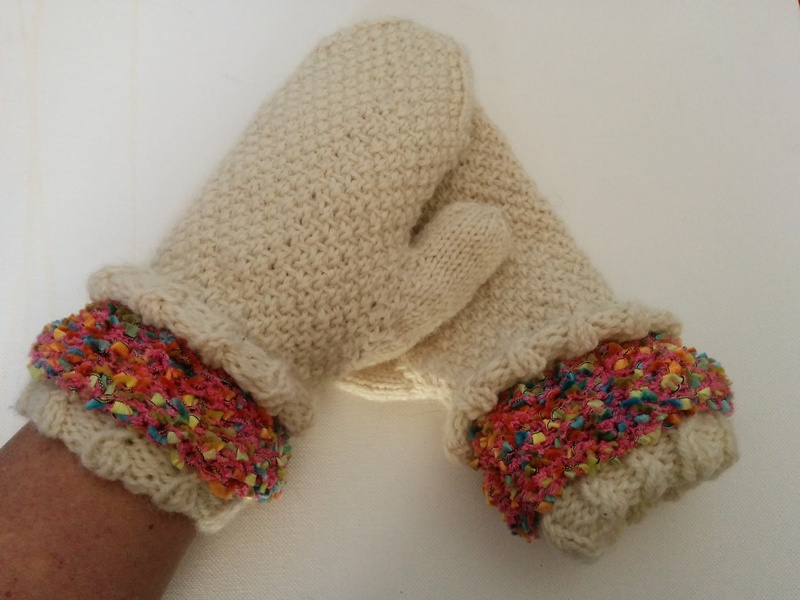 In order to use more stitches, they are not totally a set, but rather the mittens use Baby Cable Ribbing from Chapter Three, Ribbings and Woven Stitch from Chapter Five, Slip-Stitch Patterns. These mittens were quite popular with the waitresses this weekend, but maybe they were all just sucking up for tips. n.b. If you are ever going to use woven stitch, add stitches. I increased from 40 to 46 from the ribbing to the body of the mitts and I could have done more, say 48 or 50, although they are not bad. I had to restart because I had not originally increased. 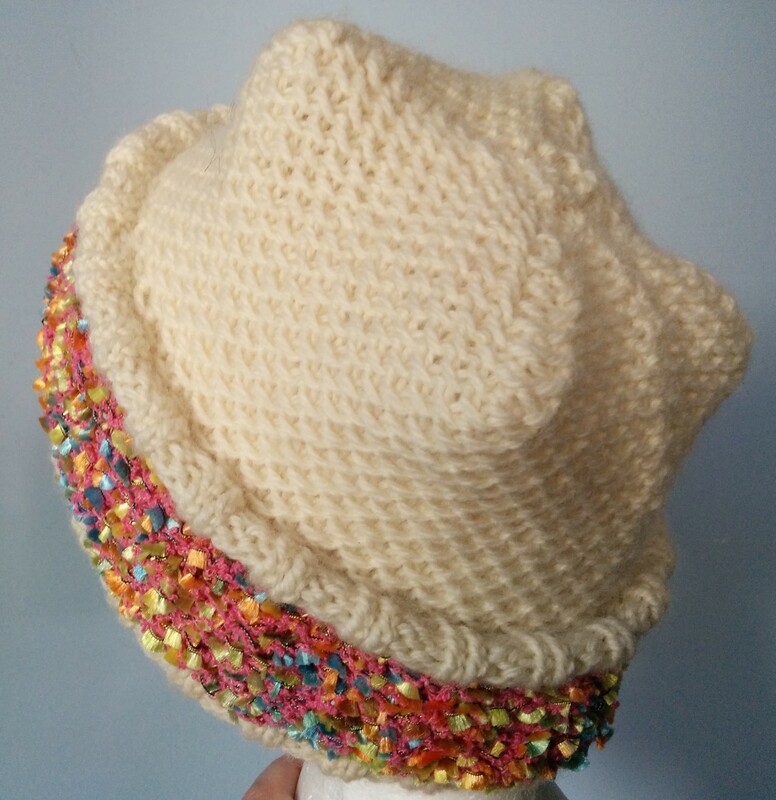 This entry was posted in Barbara Walker, novelty yarn and tagged Barbara Walker, Easter Hat, novelty yarn on March 31, 2015 by gillianknitter.